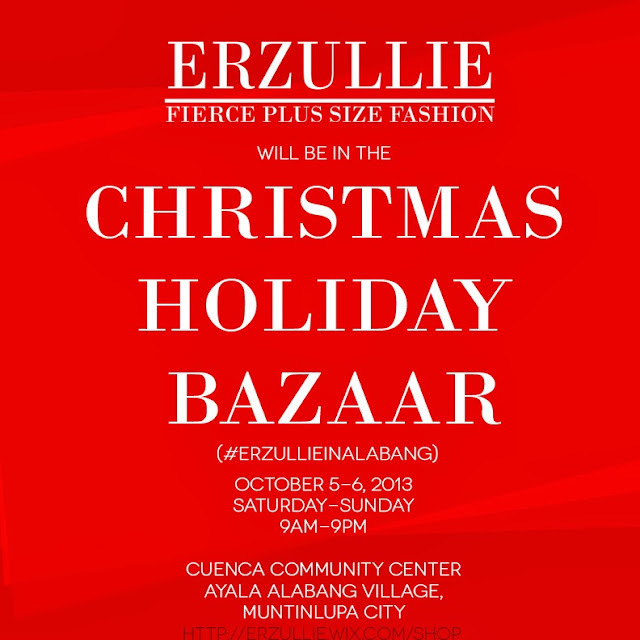 Erzullie Fierce Plus Size Fashion Philippines: PLUS SIZE EVENT: LESS THAN 2 WEEKS BEFORE #ERZULLIEINALABANG! PLUS SIZE EVENT: LESS THAN 2 WEEKS BEFORE #ERZULLIEINALABANG! We are so excited to visit Erzulliestas in the south! We are going to be in the Christmas Holiday Bazaar on October 5-6, 2013 (Saturday and Sunday; 6pm-9pm) at the Cuenca Community Center, Ayala Alabang Village, Muntinlupa City.